Northwest Plastic Surgery Associates, PLLC, is pleased to provide both reconstructive and cosmetic surgery at our Missoula practice. A member of the American Society for Plastic Surgeons (ASPS), Dr. Stephen P. Hardy is trained, experienced, and qualified to perform both cosmetic and reconstructive surgical procedures on the face and all areas of the body. Because many cosmetic procedures are rooted in reconstructive plastic surgery, Dr. Hardy and our staff are uniquely qualified to perform the procedures necessary to meet your cosmetic needs. Hardy and the staff are amazing! They genuinely care about the patient and are willing to answer questions and address concerns. I would recommend NWPSA to family and friends. At least six years of surgical training and experience, with a minimum of three years in plastic surgery. Training and experience in all plastic surgery procedures, including breast, body, face, and reconstruction. Those patients in need of reconstructive surgery can expect improvement in both form and function of abnormal structures of the body caused by congenital defects, developmental abnormalities, trauma, infection, tumors, or disease. If you are a patient interested in plastic surgery in Missoula, the team at Northwest Plastic Surgery Associates, PLLC, will do all that we can to help bring your inner beauty to the surface. Cosmetic surgery is usually not covered by health insurance because it is elective, so be sure to consult with your insurance provider prior to any surgical procedure. In addition to the list of surgical procedures offered at Northwest Plastic Surgery Associates, PLLC, we offer a complete array of minimally invasive cosmetic procedures and non-surgical treatments at our Missoula practice. This order of procedures and treatments can be used to reduce the appearance of fine lines and wrinkles, to even out skin tone, or remove unwanted hair. Among these are botulinum toxin injections, microdermabrasion, chemical peels and dermal fillers, and although they are non-surgical in nature, it does not mean that they are not without risk. Because Dr. Stephen Hardy is an ASPS surgeon, he has been well-trained in both cosmetic surgical and non-surgical care. This is an important step in choosing the physician and practice that is right for you. 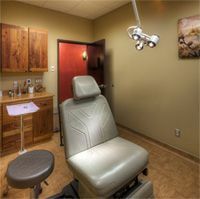 Northwest Plastic Surgery Associates, PLLC, in Missoula, Montana offers a large selection of non-surgical procedures and treatments performed by our knowledgeable, qualified and caring staff. All our patients are completely educated on what to expect and we make sure they are 100 percent comfortable with all decisions before proceeding. Many of these services are discounted for our VIP members. This program offers exclusive pricing and access to the newest products on the market. Dr. Hardy and our staff are committed to the highest standard of patient care and look forward to working with you as your partner in your chosen procedure. Working with our patients, Dr. Hardy or our esthetician, Laura Conway, RN, CPSN, will guide you on the path to renewing or improving your appearance. It is our goal to help you reach your desired results without surgical treatment first, and this can be done after a consultation with Dr. Hardy or Laura. A small change can make a big difference, and that change doesn’t always need to include surgical care. Dr. Hardy and our staff offer many options for our patients that have concerns about surgery or for those that simply do not need surgery. At Northwest Plastic Surgery Associates, PLLC, we offer a wide variety of non-surgical procedures as an alternative to invasive plastic surgery. 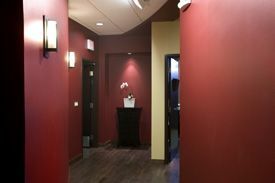 So if you are interested in any of our non-surgical procedures, please contact our Missoula, Montana practice. Women who want to reduce the size of their breasts after pregnancy can consider breast reduction surgery with Dr. Stephen P. Hardy. Dr. Stephen Hardy discusses rhinoplasty and bruising, so patients know what to expect and how to minimize this side effect. Dr. Stephen Hardy gives his patients a brief overview of the history of breast augmentation.